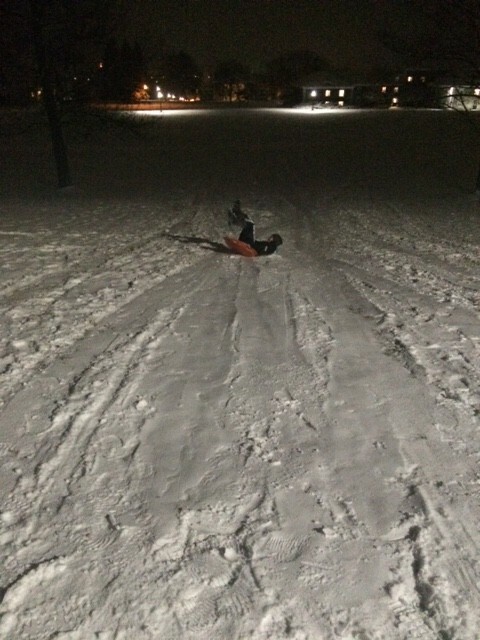 ‘Tis the season to be sledding! As a native Floridian, it’s only appropriate that I still gasp at the sight of snow. When I first announced I would attend Middlebury, my Floridian family members shrieked: “Won’t it be cold? !” Yes, it is cold. 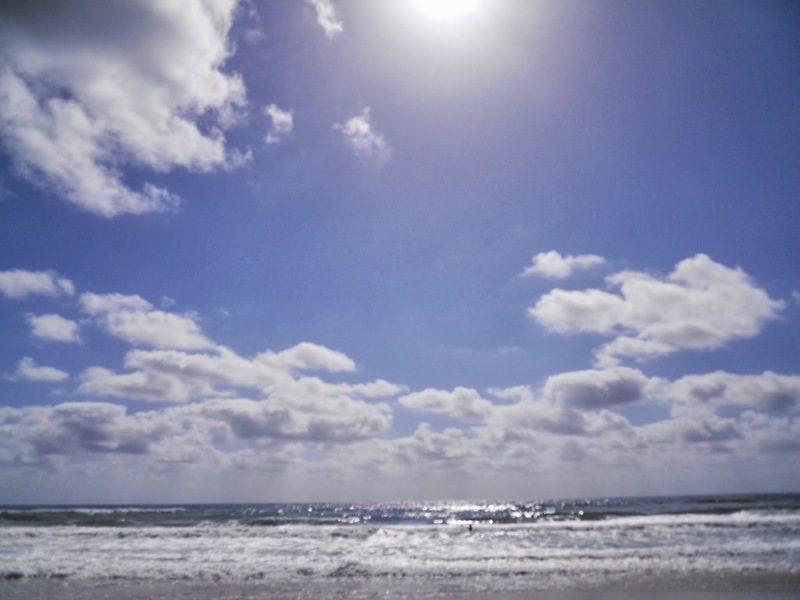 The weather definitely doesn’t hover over the same 70-75 degree range that sunny South Florida does during winter’s entirety. Thus, we’re stuck with the beauty that is a snowy winter. 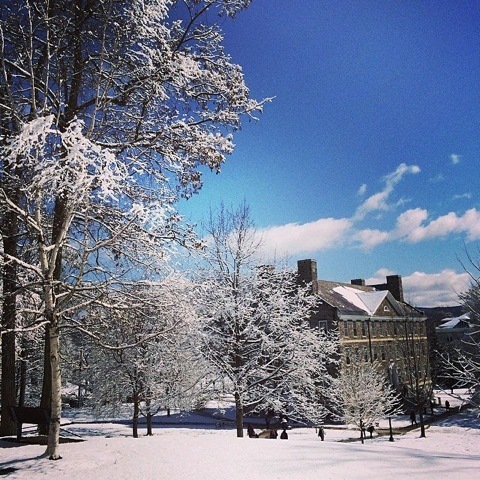 My first year at Middlebury, I had a horrifying vision of what winter would look like. I expected hurricanes with snow every single day. I imagined winter as a turbulent freeze. With wind, if that wasn’t clear. It turns out winter is more low key. For me, winter usually marks a time to drink hot chocolate, sit next to a fire, and look out the window. Each winter I do get a bit more adventurous, easing myself outside for a few more hours each day. I now know how to get down the bunny slope without falling on my face or crashing into my professor’s five-year-old child; I have accomplished one winter hike without snow shoes; and I have conquered my fear of running with snow on the ground. This year I’m hoping to take up a more seasonally appropriate endurance sport: cross country skiing. Last year I tried it once. I fell. Bill McKibben passed by and asked me whether or not I was trying “to go up or down.” I’m still not sure what he actually meant because I was trying to go down the hill, but stay up on my skis. Overall, it was a great time because I was outside, embracing winter, and was acknowledged by Bill McKibben. But since it is finals week and I am trying to be the responsible senior tackling a thesis and a job search, I’ll hold off on cross country skiing until J-term. For now, I will gladly settle for a slide (or two) down Battel Beach before heading off to bed. This entry was posted in Uncategorized on December 3, 2014 by Staci Hill.